Dorothy K. Morris accepted my Dirty Dozen challenge and is here today with Fulani, her main character in her historical fiction novel, Dirty Rice. Before we talk to Dorothy, I'll let her tell you a little bit about Fulani. Fulani was a servant to a village of rice growers on the island of Baki on the west coast of Africa. She had been traded to them by wandering herdsmen when she was a child for four bags of rice. Her friend and companion was Edriam, the chief’s favorite daughter. While gathering reeds near the shore, for making baskets, they were captured by sailors and taken aboard a ship, which was sailing for Antigua. The ship was hit by a severe storm and all aboard were lost, except for the two girls, who had been locked in a compartment below deck. They were rescued by another ship and taken to Carolina Colony where they were placed in the care of an aristocratic lady, on a rice plantation. Now Fulani is a free woman, but still serving in a household while she tries to learn the language and adjust to living among strangers for the second time in her life. Fulani, can you tell us how you met Dorothy? Want to dish about her? I first met my writer while she was doing research for this book. She saw a pair of earrings made by the beautiful Fulani people of West Africa, and I was born. I do not choose to dish about her. She is an honest writer, and she cares for me deeply. She has offered me the adventure of a lifetime, one I thought I would never get since I was merely a servant girl in an African village, with little hope of a happy future. I never thought my life would end up in a book. I thought my life would continue on its treadmill way. I worked in the house of the village chief. I worked in the rice fields. I could only hope for an old man or an ugly man for a husband because I have no dowry, and no man will pay bride price for me. My favorite scene in this book is where I get to tell Edriam what a weakling she is being. She is our chief’s daughter and should be brave, but she is whining and crying because her life has changed so much. She, who patronized me as her servant, is now a servant herself, even though I am now as free as she was. Did you have a hard time convincing Dorothy to write any particular scene? I did not have a hard time convincing my author to write any particular scene for me. We understand each other and like each other. She writes good scenes for me, and in the next book, she will give me even better scenes. What do you like to do when you are not actively being read somewhere? I like to hide in the shadows and watch people. I like to know their secret activities because knowing gives one power. I also like to hide and watch Upton because he has good face...he pretty to watch. If you could rewrite anything in the book, what would it be? I would make Upton want to make love to me instead of making love to the Lady Agnes. Do you get along with all of your fellow characters? I like some of my fellow characters, but there are some that I don’t like at all. I do not like Sir John Grenville. He is a mean man and does hurt to the Lady Corina. Captain Fredrick is kind and so is Ben. Edriam is lucky that Ben likes her. Lady Agnes is tricky, and I do not like the way she treats Upton. Upton is special. He is handsome. I don’t like the way that Edriam is always whining and crying because she finds herself away from our village and families. I try to get her to be brave. Do you have any secret aspirations Dorothy doesn't know about? My author knows all about my aspirations. She knows that I want to be Reginald Upton’s lover now that Lady Agnes is gone, and she knows that I want to have a son. What would you do if you had a totally free day? I would walk along the river and maybe go fishing with Hunter. When people first meet me they see only a light-skinned African girl who is rather attractive. When they get to know me they see that I have a brain and that I have ambitions. I thought the worst thing that happened to me was being stolen from our village in Africa, but what I learned is that it was the beginning of the best part of life. I learned that some good things start by being bad. My best friend in the village was Edriam, the chief’s daughter. She is about my age and was a kind companion. But when we were captured I saw how spoiled and frightened she was. I had to be the strong one to help her. Then I met Lady Corina and she became my best friend. She made sure that we remained free and vowed to take care of us until we could be on our own. She even pays us a wage to be house servants. The village chief only gave me food and a grass mat to sleep on and one garment to wear. I am most afraid of Lady Agnes coming back and taking Reginald Upton again. Then I am afraid that I will not find the right man to give me a son. What's the best trait your author has given you? The worst is that since I am now a free woman, I don’t ever want not to be free again, so I will not marry. But I want a son. What do you like best about Dorothy? I like my author’s effort to be honest and to see people as human beings, no matter their color or gender or age. She sees the good and bad in all of us. Who would you like to play you in a movie version of the book? If my story were a movie, Logan Browning or someone like her and a bit younger would play my part, because I am of mixed race. I am part Semitic and part African. An average day for me is to get up very early; fetch water for the kitchen and for Lady Corina and Lady Agnes. Sometimes I bring breakfast to Lady Corina if she is ill. After that, I tidy her room and maybe help Roundale and Edriam in the kitchen. In the afternoon I work in the kitchen garden with Amayo and Finda. I help with lunch and dinner and then to tuck Lady Corina in at night. Sometimes we spend an hour in the afternoon together while she teaches me to write letters and to speak the language. Will you try to convince Dorothy to write a sequel? Oh yes, I will ask her to write a sequel. I still want my chance to capture Reginald Upton’s heart and to have a son. Wonderful. Thank you for talking with us, Fulani. It's been nice chatting with you. BEFORE KING COTTON THERE WAS AFRICAN RICE. 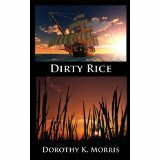 DIRTY RICE, a novel set in the early 18th Century in the Low-Country of the early South Carolina Colony, tells of love, passion, adventure and cruelty with totally believable characters. It is the first prequel to the four books of the Mockingbird Hill Series. The early 18th Century saw vast expansion into the New World from England, the European Continent, and from Africa, and the establishment of rice plantations in the coastal regions of South Carolina and Georgia. Set against this background, Dirty Rice sweeps us away to a bygone era of adventure, romance, and brutal reality. This is the story of African rice and African people, their knowledge, expertise, and their forced labor that made the Carolina Colony the wealthiest colony in colonial America. It takes us from the plush parlors of aristocratic English absentee land owners, who set policy in the Colony to maximize profit, to the swampy shores of Carolina amid the mud and muck of rice fields, where people kidnapped from West Africa because of their knowledge and expertise in the growing of rice, were forced to work to fill the coffers of the landowners with wealth. It is a story of exploitation by some and compassion from others. In this, as in her four previous novels, Morris’ emphasis is on the people who lived and were forced to cope with what life sent their way. These characters will continue into the next novel, Tally's Nook. 3. Your last meal would be…Fried Chicken, rice, and butter beans. 5. You won the lottery. What’s the first thing you would buy? A horse. island because I could build things. the horse I bought with the lottery money. Dorothy K Morris was born in Charleston, SC, a city her forefathers from England, France, New England and Barbados helped to establish in the seventeenth and eighteenth centuries. She grew up in the Low-Country of South Carolina, steeped in the tradition and pain still felt from the residue of slavery, the Civil War and its aftermath. Much traveled, she adopted the West as her home and has remained for many years, living in Arizona, California and currently in South Central Washington. She lives on a small ranch in Kennewick. 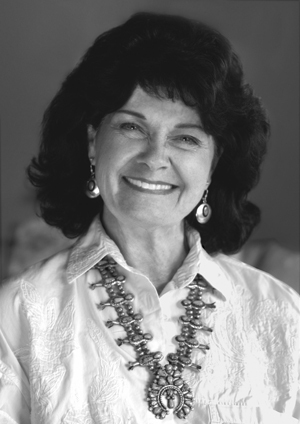 In addition to writing novels, Dorothy is an accomplished equestrienne and competition coach for Combined Training. She also schools horses and rides dressage. Morris enjoys genealogy and obtains many of the elements of her plots from her extensive family history. She is a member of National Society Daughters of the American Revolution, is listed in Who’s Who in America, and Who’s Who of American Women.